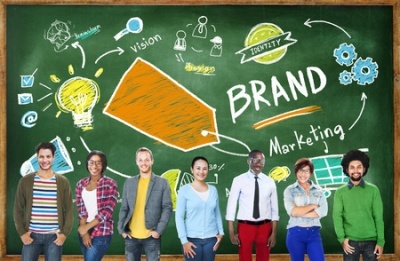 Unique people search specifically for your brand. Unique people search for something that can be found on your site. The percentage of the time where unique people search specifically for your brand, compared to the percentage of the time unique people search for something that can be found on your site, determines your site quality. Here’s an example of how this might work. Lets say a site could be ranked on a scale from 1 to 10, 10 being the best, for their site quality. As it turns out, there are exactly 1000 unique searches for “Red Widgets” each month. Of these searches, people refer to “Joe’s red widgets” 50 times as they type the query “red widgets”. This group of unique people also happen to search for “Jennifer’s red widgets” 25 times. Finally, they never search for “Jacob’s red widgets”. This is a very simplistic explanation of how the patent works, imagining a sliding scale, the most referenced brand in the industry (Joe), would be ranked as a very high quality site, because people search for his brand the most in conjunction with the “red widgets” query. For that query, and similar searches, his site would be ranked very high quality. Meanwhile, Jennifer received half the searches for the query, placing her site somewhere as medium quality. Jacob’s site, because it never receives any kind of branded searches, is determined to be low quality. Joe’s site may be ranked a 10, Jennifer’s a 5, and Jacob’s a 1, regarding site quality. Following is an overview summary found within the patent itself. I bolded sections to make it easier to understand, as it’s rather difficult to interpret patent legalese wording. This specification describes how a system can determine a score for a site, e.g., a web site or other collection of data resources, as seen by a search engine, that represents a measure of quality for the site. The score is determined from quantities indicating user actions of seeking out and preferring particular sites and the resources found in particular sites. A site quality score for a particular site can be determined by computing a ratio of a numerator that represents user interest in the site as reflected in user queries directed to the site and a denominator that represents user interest in the resources found in the site as responses to queries of all kinds. The site quality score for a site can be used as a signal to rank resources, or to rank search results that identify resources, that are found in one site relative to resources found in another site. There are a couple ways the patent states that people can indicate interest in your site. They may, for instance, type site:example.com (keyword), whereas they’re searching for something particular and limiting it to your own site. Another example is when they search for your brand name, along with the keyword they want to find. An example of that in the SEO industry would be “moz correlated ranking factors”, which would indicate that someone wants to find correlated ranking factors, and limit their search to Moz. 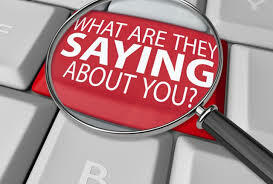 The search for your brand, along with particular keywords, associates the searched-for keywords with your brand. In addition, it states that the brand preference relates to “search queries of all kinds”. This means that for instance, because Amazon receives hundreds of thousands of brand searches in conjunction with specific keywords, that Amazon will rank highly as a quality site for all terms (even ones where people haven’t specifically searched for the Amazon brand along with a particular keyword), as long as that resource is on their site. The implications are enormous. I’m going to take a stab at what this patent means. I could of course be wrong, as I’m not a Google engineer — and even though Google has a patent doesn’t specifically mean they’ve implemented it. However, as Panda is a respected engineer at Google — so much so that a major Google algorithm change was named after him, let’s assume for a moment that this patent was implemented. It would likely be one of many ranking signals that Google receives, whether a site is searched for as a brand or not. Certainly, if a site received links from CNN — they would rank well, even if nobody searched for their particular brand. SEO is all about adding positive signals, and removing negative signals, and in regards to whether someone searches for your brand — I would say that is a strong positive signal if they do, and a rather negative signal if you have many links, but nobody actually searches for your site. The patent goes out of its way to state that it is based on unique searches. I highly doubt someone could manipulate the search engine based on repeating the search for their brand multiple times, as that would not be unique. The trick would be in getting people to actually search for your brand. Figuring out how to get people consistently searching for your brand, in conjunction with a set of keywords that reflects your content, would be gold. 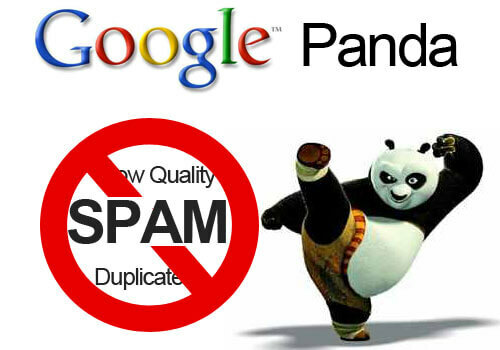 It would be similar to receiving high quality links for gaining Google’s trust. 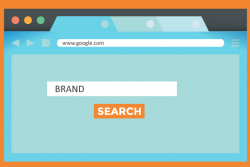 Can you fake brand searches? We’ve an article (It’s a Fact, Getting Clicked Boosts Your Rankings) about how people have faked searches and improved their rankings. One would assume that if you can get yourself a bunch of proxies and tackle the project carefully, it might be possible to emulate searches for your brand which would increase your rankings. Here is a test by Matthew Woodward, where he was able to get from 30 to 100 visits per day on a 60500 exact search per month keyword, simply by automating searches for his brand. 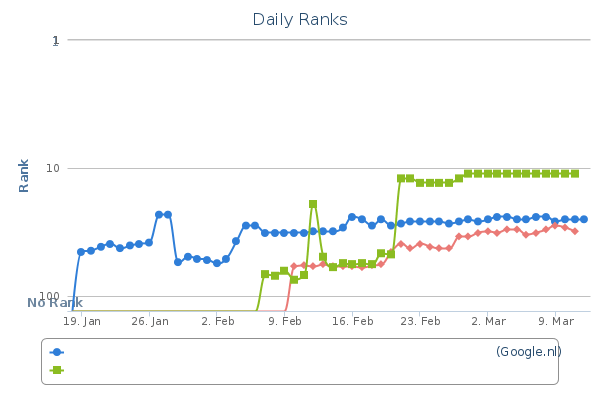 Then, there was another test at Search Engine Land, where they took a long-fixed query listing ranked at #10 up to #3 by doing from 250 and 700 searches a day, and clicking through to that result. While those two aren’t exactly similar to what we’re talking about in this article (they didn’t state whether the brand was searched for), it could be an instance where Google determines there is a brand preference, based on a higher level of click-throughs. Putting the two together — generating searches for your brand, and having that culminate in a click-through to your site, is a solid method for improving your rankings. Not only does it show a preference for your content, it also apparently distinguishes your site as a higher quality site.